Our luxury stone freestanding bathtubs, soaker tubs, and basins are manufactured in the USA and are the first choice luxury tub for 5-star hotels and lodges, as well as residential homes and condos in the USA, and around the world. 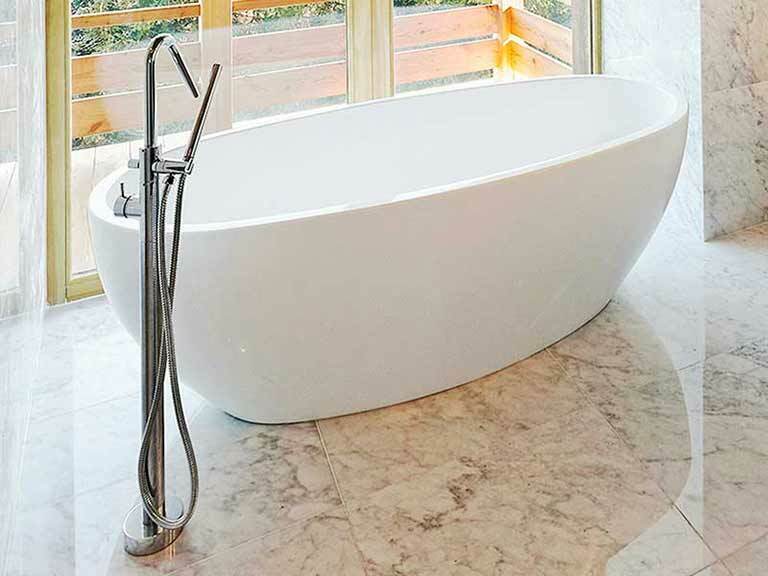 Our freestanding bathtubs are made from a unique organic composite material that has the appearance and beauty of natural stone without the excessive weight, which means they can be installed in the average home or condo. 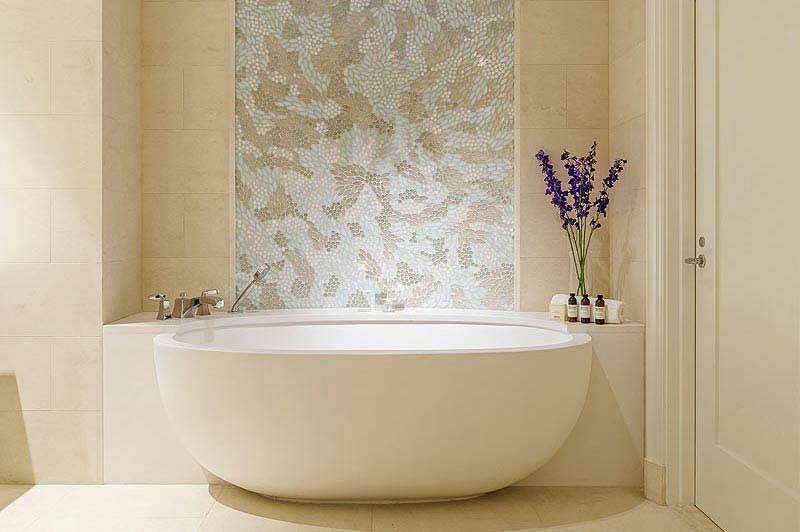 Beautiful curves and generous dimensions make our bathtubs the eye-catching centerpiece of any luxury bathroom. Our freestanding bathtubs are made from organic materials and are hard-wearing, stain resistant and easy to keep clean. Our bathtubs are comfortable, warm to the touch and non-slip. Our double-ended design with center drain facilitates two person bathing on most of our tubs. Our products are certified to IAPMO (UPC) and IPC (International Plumbing Codes) as well as ANSI International standards for structural strength and resilience. We offer a 10 year warranty. Our tubs do not contain aluminum trihydrate or acrylic resin. The product is well constructed and finished, and the experience in our recent Four Seasons Denver Private Residences project proved you have good production capacities and exceptional client response. The Denver project had a supplier problem mid-construction, and your firm stepped up to the plate and corrected the issues in a most professional manner. We have a full color printed brochure and a series of mini brochures as well as specification sheets and installation instructions - to receive, or download a brochure please select the 'Freestanding bathtubs brochure' button below. 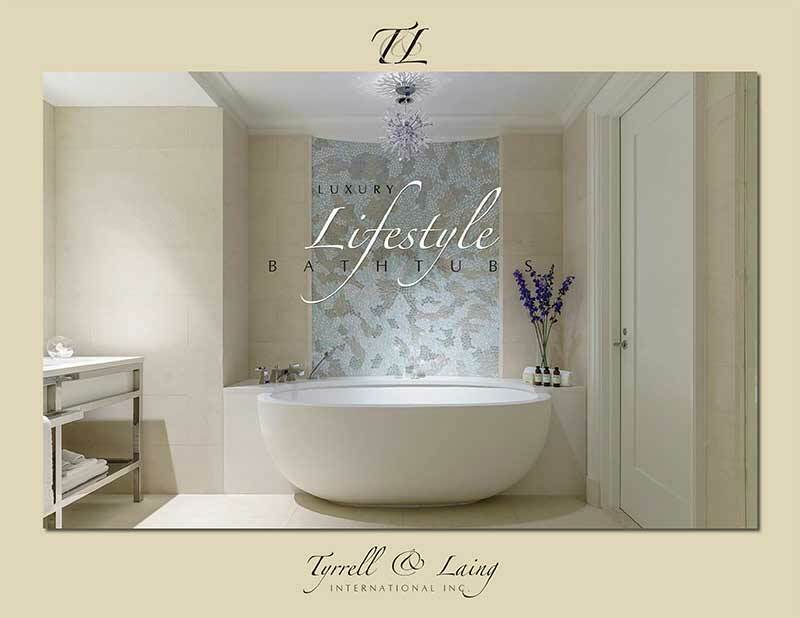 Freestanding bathtubs from Tyrrell and Laing International, Inc. can be found at the Round Hill Resort and Villas in Montego Bay, Jamaica. This resort offers 110-acres of private enclave of luxury villas. The boutique oceanfront rooms allow you to escape from reality for complete relaxation. What better way to relax and de-stress after a busy day than in a luxury freestanding soaker bathtub. The ergonomic oval shape of our baths provides comfort and reduces the amount of water required to fill the bath, and the insulation properties of our advanced composite stone material helps keep the water warm a for a long, relaxing soak. Something magical happens when surrounded by the mysteries of nature. A light breeze, distant sounds of birds chirping and the colors that wrap the sky in golds, oranges and blues. We open our senses to the “aliveness” of it all. A sense of floating – away from world. Now add one more item – a luxury freestanding soaking bathtub.